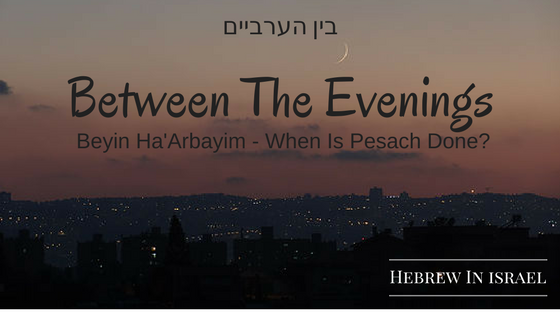 The term בין הערביים –Beyin Ha’Arbayim is temporal construct form used to describe a specific time of day, and found in several places in the Bible. One of the most important places it is used is in connection to the time of the Pesach sacrifice as prescribed in Exodus 12:6. This term has created many arguments over when to do things, and in fact has raised the question of how does the Torah understand time in overall.